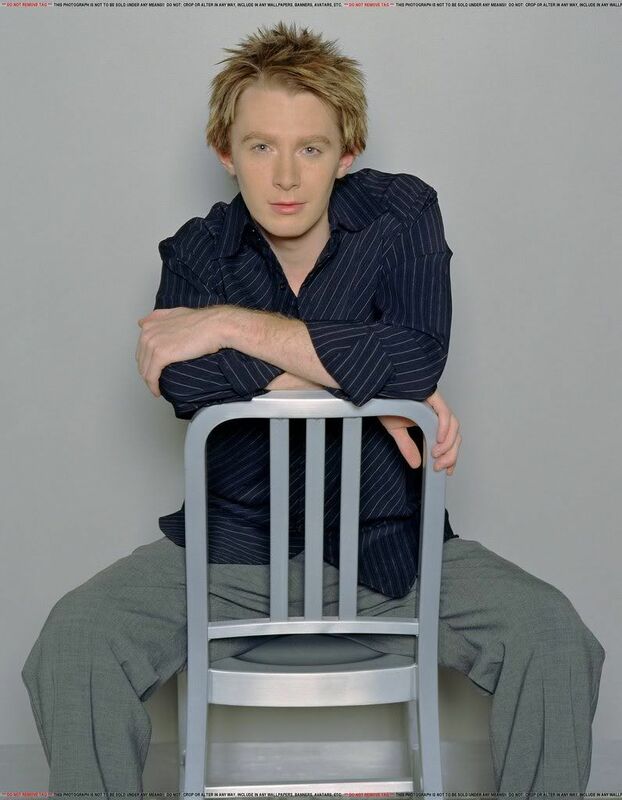 When was the last time you listened to Clay Aiken’s first professional album, Measure of A Man? Released on October 14, 2003, the album sold 612,859 copies in its first week of sales. On Saturday, I listened to the entire album for the first time in a few years. It was only by chance that the album came up on iTunes. I had a household of family visiting for the day and my granddaughter wanted to listen to some music. Everyone was outside, but Katie wanted to help me fix dinner so she and I were alone. As the music played, I heard the album start. I couldn’t help but smile. But so did Katie! She immediately turned up the volume and started moving with the music. “I like this music, Mimi. 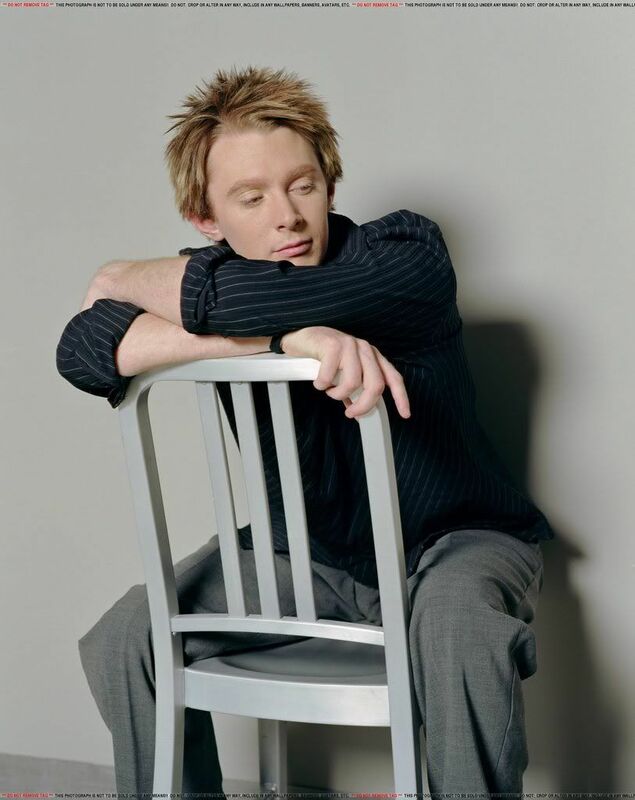 It makes me feel good!” A few minutes later, the volume increased again and 6 year old Katie was humming along with Clay Aiken! Measure of A Man is an outstanding album. If you haven’t listened for a long time, get it out and take a listen. I bet you will smile when you hear it and just maybe it will get you moving just a bit! What a great way to start a recording career! Left chart at 192 after 35 non-consecutive weeks. I hope you will post your favorite song. It will be interesting to find the most popular song! It's way too hard to select my favorite song from this amazing album! I loved them ALL! Touch, Perfect Day, When You Say You Loved Me. I could go on and on and on, lol! I love them all but "the Way" always will be my favorite. I love the video of it too. I do not need any 'glory notes' just his voice. Finally..an easy question to answer…my all time favorite (from this albumn) is a song I listen to on my ipod "Like Lots" …Measure Of A Man! Followed closely by, in order, and also survived the test of time and remain on my ipod: This Is The Night, The Way, When You Say You Love Me, I Survived You, Touch, No More Sad Songs, and Perfect Day. MOAM is a fantastic album. I actually had just listened to it earlier this week. Favorite song is tough but I think I would say I Survived You and I Will Carry You. It’s all good though. I loved every song on the album! I do have it in my car and listen to it often, also other albums of his, never get tired of them like other singers, there's just something about his voice that moves me. 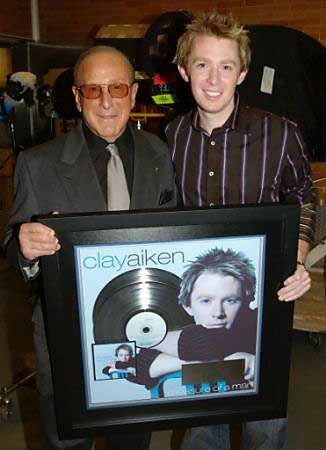 Thank you Clay and thank you Musicfan xox. I've always liked this whole album, but if I absolutely had to pick a favorite, it would be Touch. If nothing else can get me moving, that song will!!! I'm with Gaymarie…….just one favorite is too hard. 🙂 "I Survived You;" "Run To Me," "Measure Of A Man" and "I Will Carry You" probably all tie for first place. I truly love them all though. I’m with Katie….I like to hum with Clay too!! My favorite song from MOAM has always been Perfect Day, but I love the entire album. I thin I better put it in my car again so I can listen again. This was a fun topic. I hope others will list their favorites. MOAM is my favorite.I like to go to sleep with the MOAM cd.I love listening to his Christmas cd. no matter what time of year it is. especially Mary Did You Know and Oh Holy Night.THANK YOU FOR EVERYTHING>I dont want to die but it hurts so much to be alive sometimes.But I want to help people. Ah, there is no question for me as to my favorite – When You Say You Love Me, is so adorable! Love to listen to him sing this. The entire album is great, but WYSYLM is one song I could listen to time after time, and I do! This was such a great album. Since the cd player in my car will only play Clay Aiken, MOAM is on the playlist. Of all the outstanding songs on there, "This Is The Night" is the one that makes me smile at the first note and the one that brings back the most memories. Remember the first time he sang it on AI2? Boy, is this a toughie! I like Invisible, When You Say You Love Me, Perfect Day, & Measure Of A Man. I LOVE The Way, No More Sad Song, Shine, I Survived You, & Touch. I think Touch is one of THE sexiest songs he sings. Wish the fans could've convinced him to sing THAT song on his many tours, but I think he said, he didn't want to b/c it was too raunchy for his style & these were "family" shows. And I LOVE No More Sad Song, & I Survived You b/c the message to me is that he's NOT stuck on something that's happened in the past. He's accepted it & moved on. The Way is just a nice song in general, it doesn't have a clear "meaning" to me. Hope everyone has a great week, in the kingdom of "Clay." Ellison…I love "the kingdom of Clay!" MOAM is still my favorite Clay album. It really is too hard to pick just one song. After MOAM was released, I tried an experiment… how long could I listen to it non-stop 24 hrs. a day. I don't remember now, but it know it was well over a month before I ended the experiment. At home, in the car, I even slept with it playing. It ruined me for anyone else's music, LOL! I think I burned all new synapses in my brain! Please accept my apology for my depressing comments. too many deaths lately. THIS SITE IS A HAPPY ONE!I need to take a goodie bag to the nursing home. That always feels good to help them.Thank you again for everything you do to make us happy. Your granddaught has excellent taste in music. The Way is my favorite song. Just like everybody, I like the whole album. My No. 1 favorite is Run To Me followed by Perfect Day. Listened to this album in the car about 2 days ago. No More Sad Songs is my favorite. It is easy to sing along with Clay on that one. I remember rushing to the store to buy the album the first day it came out. Error: Error validating access token: Session has expired on Tuesday, 21-Aug-18 16:13:01 PDT. The current time is Thursday, 18-Apr-19 06:45:54 PDT.